Solar breaks another record in California | West Coast Solar, Inc. Headlines about new generation records for solar energy solutions in California are so common these days that they’re hardly surprising. More installations are coming online every day, which means that more opportunities present themselves to push the state in the direction of renewable energy. 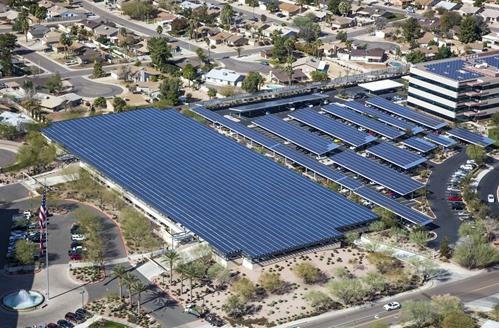 On January 2 the California Independent System Operator (CalISO), which regulates the state’s utility-scale grid, announced that solar generation had hit a peak of 3,000 megawatts (MW) at noon, which would mark the first time that generation has crossed that mark ever. What’s remarkable about this record is that it occurred on one of the shortest – and darkest – days of the year. Typically, solar power generation records are set in the summer when the sun is shining longer and higher in the sky than in winter. As KCET.org’s ReWire blog notes, there are a couple caveats to this information. The first is that it only includes utility scale solar, so residential rooftop systems are not included in these calculations. The second is that these records will almost certainly be broken again in summer when the sun shines longer and more installations are brought online. ReWire points out that California’s solar capacity is still way behind Germany, which has roughly 24 GW of installed solar output. This may be the case at the moment, but it’s worth noting that solar energy is currently expanding at a faster clip in the United States than it is in Germany due to a favorable public policy environment and dropping panel prices. If you’d like to learn more about how your family can take advantage of the benefits of solar, contact West Coast Solar today.